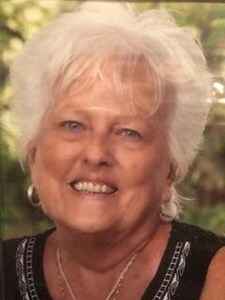 Mary Lou (Rice) Kirkendoll went to be with the Lord January 26, 2019 at the young age of 81 years-old, surrounded by her loving family. Mary was born April 5, 1937 to Oscar and Reatha Rice in Kansas City, KS. She spent her formative years in Alton, MO and returned to Kansas City after high school graduation. It is there she met and married Norman H. Kirkendoll. Together they raised five children in Tonganoxie, KS. Mary worked and retired from Mobil Oil Corporation. She was a Nascar enthusiast, who loved watching from the front row with the wind whipping in her hair. She adored her second home in Cocoa Beach, FL, walking on the beach to the pier, and her many coastal friends. She is survived by her husband of 62 years of marriage: Norman Kirkendoll. Five children: Billee Kirkendoll, Kansas City, KS, Christine Bogard (Joseph), Cedarcreek, MO, Debra Kyle, Kansas City, KS, Terri Dexter (Jeffrey), Lenexa, KS, Michael Kirkendoll (Dan), Roeland Park, KS. Grandchildren: Bridget, Nicholas, Brett, Chad, Brad, Jennifer, Jeremy, and Crystal, and nineteen great-grandchildren. She was preceded in death by both her parents, Oscar and Reatha Rice, and her sister Norma Jean (Rice) Deaton. Her beautiful smile and non-stop optimism will be greatly missed. Add your memories to the guest book of Mary Kirkendoll. It’s was our way of greeting each other. I will miss it, I will miss you, and I will miss your smile. MaryLou was a wonderful neighbor when we moved to Tongie in 1967. We enjoyed her girls coming to play with my two girls, have a cute picture of girls with my baby in her walker, good memories of the family. Keeping all of you in prayers. Blessings. A lady of the highest order. I’ll remember her walking the beach, listing to bible music, and always smiling. I am the daughter of Betty Ross Reynolds, Gang of 55. It is with deep sympathy of the news of Mary passing. Mom loved her classmates dearly and always enjoyed their get togethers. The "Gang" is slowly passing and meeting their final reward. You are in our hearts and prayers during this time and for the days to follow. We always enjoyed seeing Mary's posts on facebook. May God bless you. My thoughts and prayers go out to her family. Mary Lou was a beautiful person inside and out. I feel very blest to have known her over the years when she worked for my husband, Jim Tharp. She will truly be missed but just know that heaven just added another special angel. Our prayers are with your family for your loss of your wonderful mother. God bless you all.